We made it to the first “refugio” at 4,850 meters above sea level. Chimborazo, a volcano in central Ecuador, happens to be the closest point to the sun on Earth. Because the Earth bulges at its center, the volcano’s proximity to the Equator makes it the farthest point from the center of the Earth, even though it is not the tallest mountain from sea level. Chimborazo is 6,268 meters (20,564 ft) from sea level, 2,580m (8,465 ft) shorter than Mount Everest. 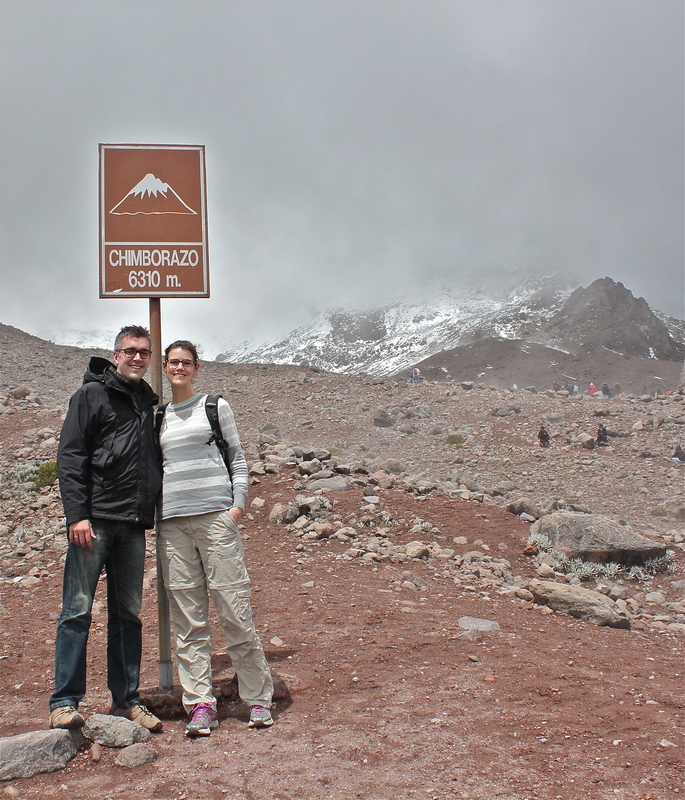 Because of the equatorial bulge, however, the peak of Chimborazo is 2.1 kilometers closer to the sun than Everest. Unfortunately, the sun is no friend to this mountain. 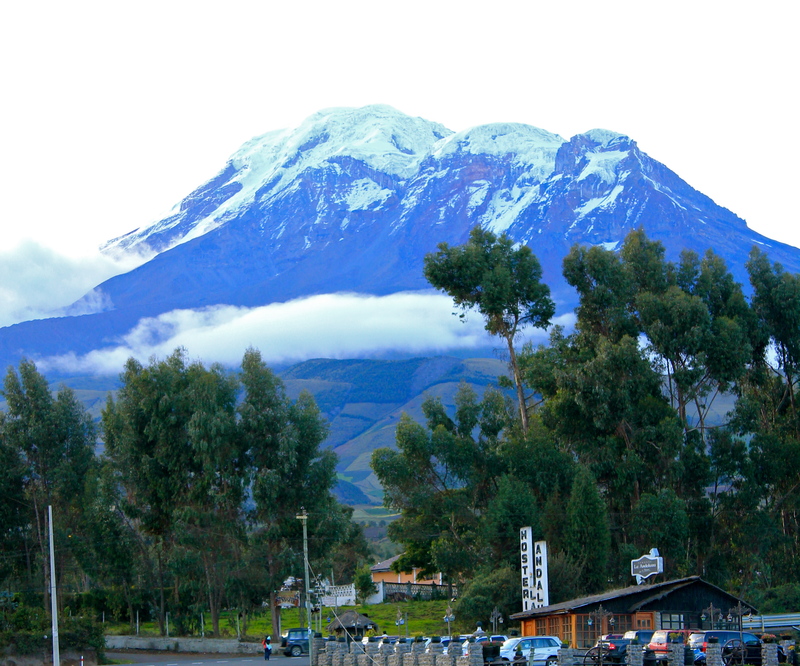 Chimborazo is still covered in glaciers, but they are melting fast due to global warming. One research paper says that between 1986 and 2010, 35% of the glacier had disappeared. The difference is visible: Old photographs that one sees around Ecuador show Chimborazo’s entire peak permanently covered in snow. On our visit this past weekend, the snow seems to cover only the very top.We were very lucky to see Chimborazo on a clear evening. My grandfather looked up at the peak and told us that only a few years ago, the snows reached twice as far down the mountain as what we saw that day. The evening before we visited the park, we could see how little remains of Chimborazo’s snow-cap. My grandfather said the snow used to reach the level of the cloud in the foreground. We did not hike up to any glaciers, but we visited the lowest hiker’s stop on the volcano, a point at which snow was normally found years ago. There was no snow in sight. We did find, however, that the altitude (4,800 meters) made even a brisk walk taxing. 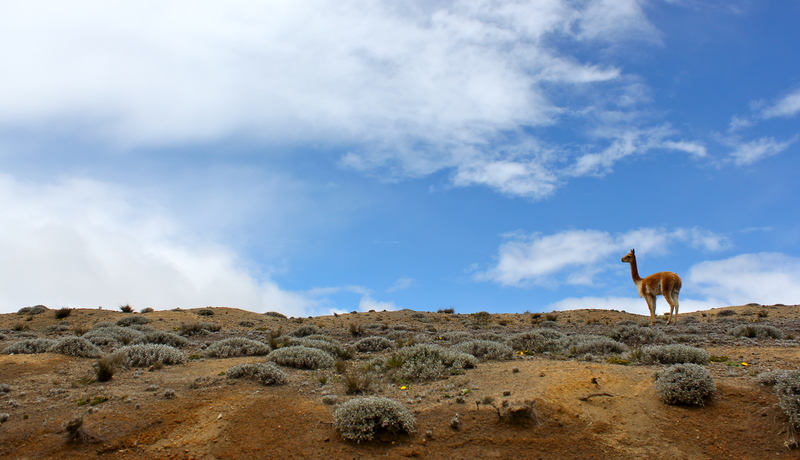 Wild vicuñas now roam the expansive “páramo,” as Chimborazo has been declared a national park. The area has been turned into a nature preserve, and some efforts have been made to revive the vicuña population, which was decimated by development. A cousin of the llama, the vicuña is endemic to this area. But the return of vicuñas and other Andean fauna cannot stop the forces that are melting the glaciers. The impending loss of these glaciers — key sources of water — will be devastating for the surrounding towns and cities. These glaciers are on track to vanish within the next 30 years.